How do we harness the potential of geo-location for our journalism, whether we are working in hyperlocal, local, B2B, specialist or any other media? Whatever your beat or specialism, the exponential growth in the use of smartphones and other mobile, wi-fi enabled devices, means that we must look at ways we can make our content relevant to our users when they are on the move. Mobile devices offer consumers information that is tailored to where they are, and what they want to do, right now. We need to put our own content on the leading mobile platforms. The message to local media companies is: geo-locate or die. Or, perhaps more acurately, continue to fade. For any local journalist, or local publisher of a blog, hyperlocal news site, or local newspaper then the question of locality is central to what they do. Newspapers were, once upon a time, the best way to get information to those in a particular locality. What geo-location does is bring a massive advance in the opportunities to do that. The challenge for any local journalist or publisher is to ride this development. If you don’t, if those in your area can’t immediately find information from you that is relevant to where they are and what they are doing, or want to do, than you are failing as a provider of local content and information. I don’t see many local papers getting abreast of this. I do see some pioneering hyperlocal sites and blogs doing it. What geo-location platforms to use? At the moment there is a competing array of localising platforms out there. You can’t build your own and you wouldn’t want to if you could. What you can do is see which platforms people are beginning to use, and find out whether you can get your content on them. That’s our aim in this masterclass. Are they on Foursquare, for example, and could you use Foursquare as a platform for reaching people? We’ll look at the breakthrough one hyperlocal site, BlogPreston, has made using this platform. What about Gowalla, another check-in site that lets you create local journeys? There are other potential publishing platforms that are far less well known, and I’ll be demonstrating some of them, including a very promising one called Bubbleby which I think has great potential for local journalists because it lets you create content and community – in what it calls bubbles – around a particular location. Great for campaigning, or focusing discussion on a particular distinct area in the town you cover. Then there are the various mapping platforms that enable you to put information on a map of the area you cover and then embed those information-laden maps into your website or blog. 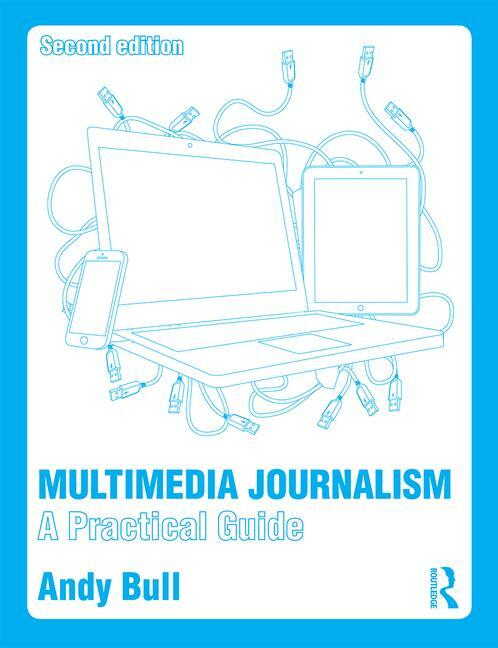 We looked at using Google Maps as a backdrop to a feature on pages 417-8 of the book version of MMJ, and here: http://www.multimedia-journalism.co.uk/node/98 on the web version. We’ll look at a range of other ways of exploiting the potential of mapping in local journalism. There is the opportunity, from a company called Geodelic, to create a guide to a particular area, called a GeoGuide, that can be read on a Blackberry, iPhone or Android smartphone. We’ll look at Geodelic, on which I’m building a guide. The GeoGuide I’m building is not local in the local paper sense, but locality is important to it. It’s an app that brings together the best places to train as a multimedia journalist in the UK. It’s a work in progress but we’ll look at how far I’ve got with it. GeoGuides could be useful to any editor of a magazine where location can be relevant to some of the title’s content. A golfing mag, for example, might have a GeoGuide to the best courses and cluster a lot of relevant information around those venues. Any specialist-interest magazine could create GeoGuides. A business travel mag might create a guide to each major airport. A fishing mag could let readers see which is the best river or lake close to where they find themselves. Real ale fans can be told where to get a pint of Owld Scroat in the strange town they happen to be visiting. “In 2010, we saw the growth of location-based services like Foursquare, Gowalla and SCVNGR. Even Facebook entered the location game by launching its Places product, and Google introduced HotPot, a recommendation engine for places and began testing it in Portland. The reality is that only 4% of online adults use such services on the go. My guess is that as the information users get on-the-go info from such services, they’ll becomes more valuable and these location-based platforms will attract more users. So how do we get on the bandwagon and use geo-location on our website, blogs and in the apps we create? That’s the question this masterclass explores. It won’t give you all the answers, but it will point to some promising possibilities. There will be some suggested projects along the way, to give you some starting points. And, as ever, if you do experiment in this area, you must feel free to share what you have discovered with the MMJ community by clicking on any of the comment buttons and sending us a link.